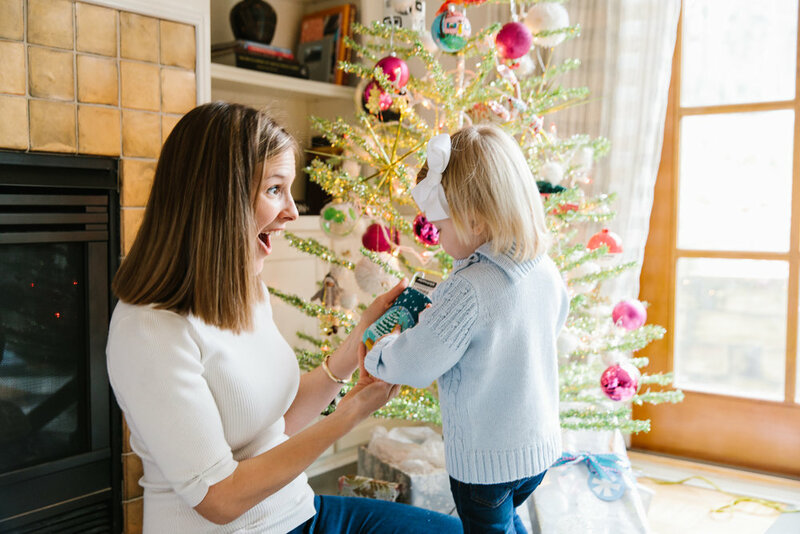 Bauble Stockings began as a family tradition for founder Kate Stewart: she grew up helping her dad choose incredibly thoughtful gifts for her mom each Christmas and hiding them in a small stocking that hung on their tree. It was their family's way to say "thank you" for all Mom had done that year. 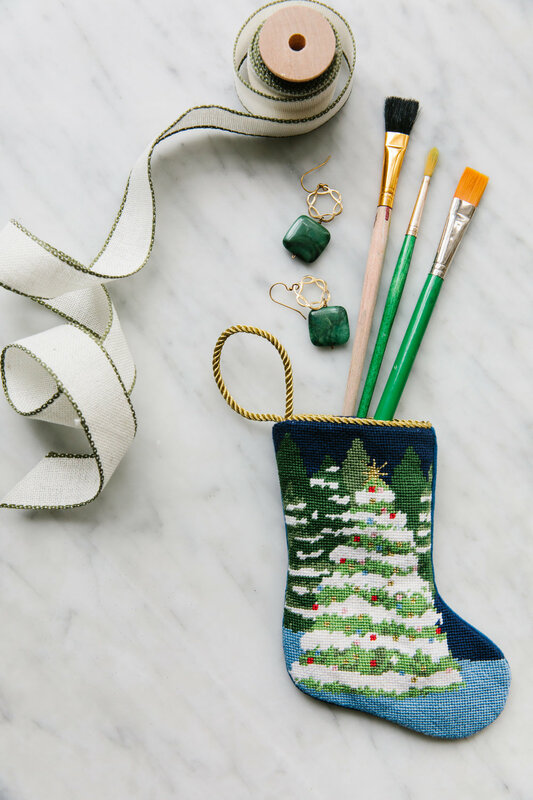 Each stocking is 100% hand-stitched and finished, taking 14-18 hours to complete. The original artwork is by Sarah Watson, an Alabama native and SCAD graduate. 5% profit of each online sale goes to the Atlanta Children's Shelter, a day shelter for homeless children so their moms are able to go to work knowing their kids are safe and receiving quality care.